Better Technology Means Better Grilling! You don’t have to be a chef to cook like one—even the first time you fire up a SABER grill. You may have heard about infrared grills. Maybe you even have one. But not one like this. 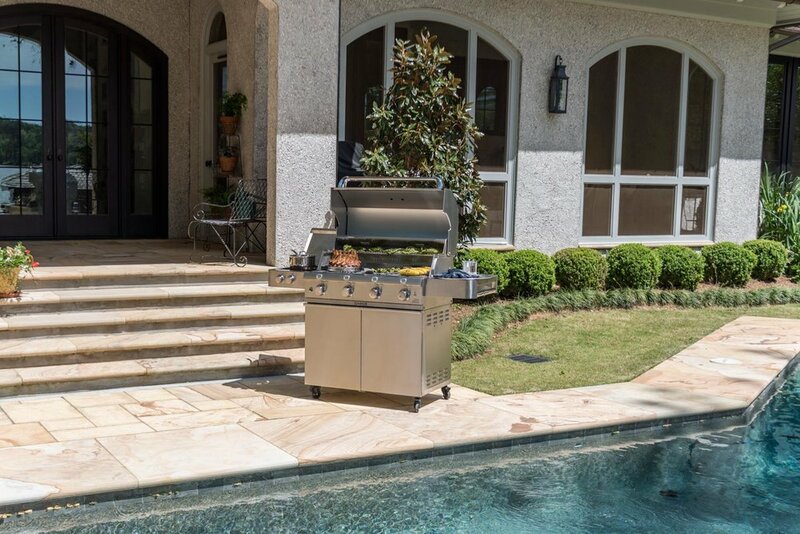 Designed and built for discerning consumers who want an exceptional outdoor cooking experience, SABER is available only through outdoor specialty dealers, like Palmetto Gas. The SABER brand and its proprietary advanced infrared cooking system make owning a premium grill an affordable—and delicious—pleasure. The SABER grill cooking system is so advanced you can actually taste the difference. It keeps meat naturally juicy and tender, even when cooked medium or well done. Mistakes like overcooking or charring a piece of meat will be a thing of the past! The exclusive and patented cooking system generates infrared heat. Radiant heat, unlike convection heat used by traditional gas grills, directly cooks your food. Convection cooking relies on hot, dry air and radically reduces the food’s natural moisture content. SABER’s patented, infrared cooking system directs airflow away from the cooking surface, locking the food’s natural moisture and producing more juicy results. 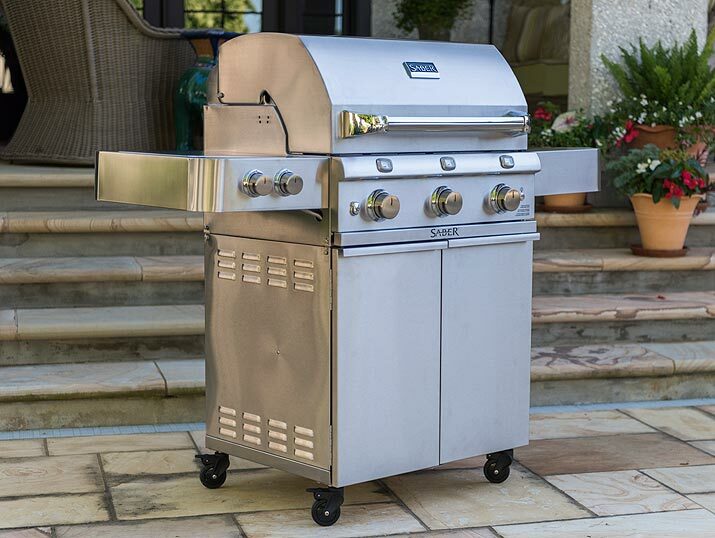 If you want perfect food every time you grill, the SABER Stainless Steel 3-Burner Gas Grill is for you. The SABER patented cooking system eliminates flare-ups and heats evenly across a wide temperate range. 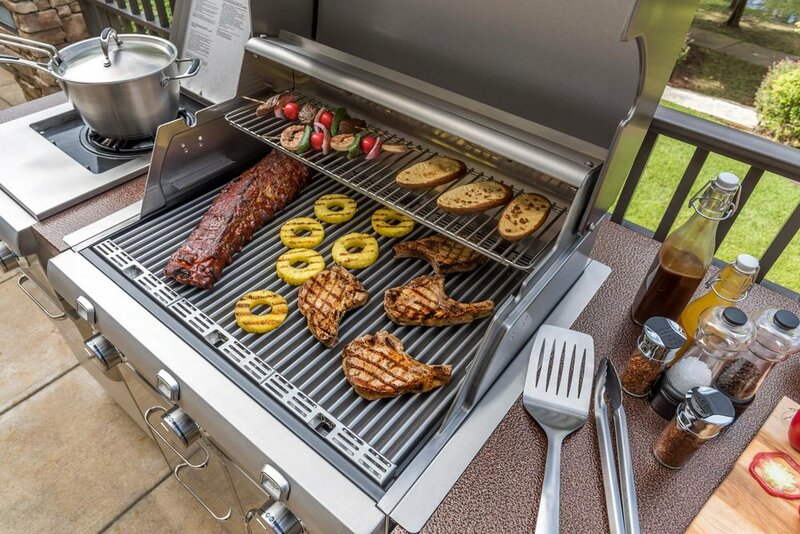 Whether you are grilling fish, steak, roast, or chicken, SABER's versatile cooking system will get it right every time. 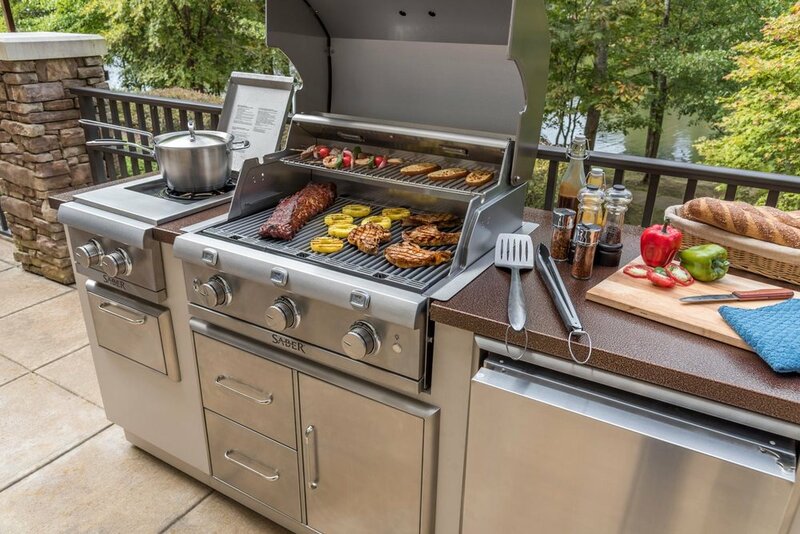 The SABER R Series EZ Outdoor Kitchen in copper will be the focus of your barbecue parties and outdoor events. 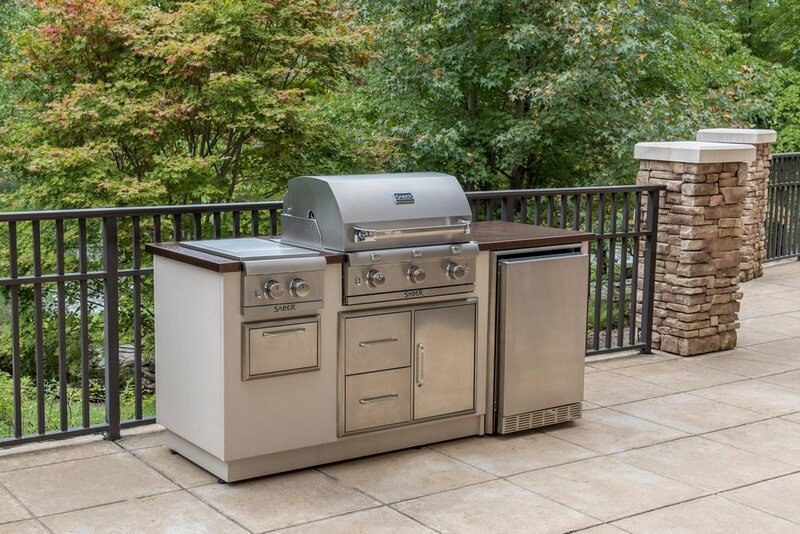 The island includes a premium SABER Stainless Steel 3-Burner Built-In Gas Grill, a dual-control side burner and a stainless steel refrigerator. Plus, enjoy a refrigerator trim kit, double drawer and door combo, and a paper towel holder. The components create a functional outdoor kitchen that allows all cooking to be done in one place. 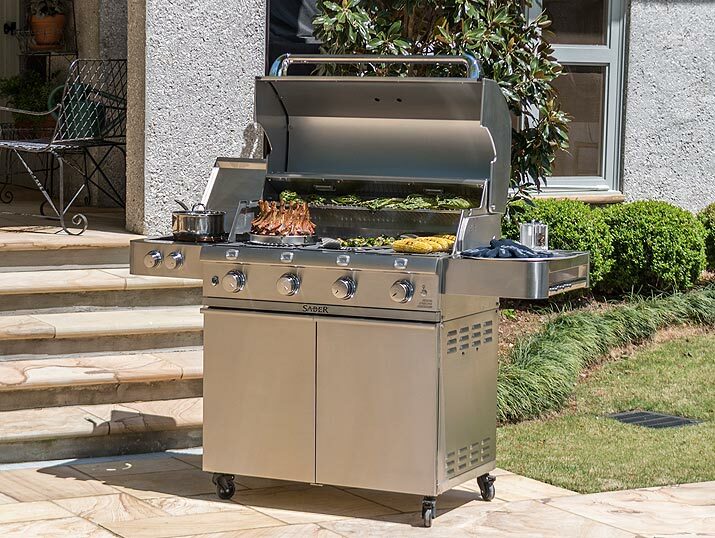 If you love to cook for a crowd, our largest SABER freestanding grill has the capacity and extra features to make entertaining a breeze. Four cooking zones allow you to adjust the cooking surface size to match the number of people you are cooking for. The dual tube side burner expands your options to include frying, boiling, and cooking with a wok or skillet. and art of cooking on them! SABER Grills 101: See why SABER is the best grill you can buy. The Perfect Steak: See how you and SABER can grill the best steaks.